You’ll be part of a talented team on a mission to make insurance better, for everyone. 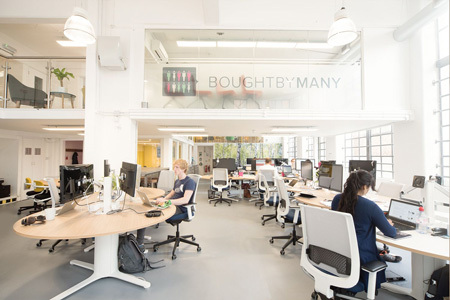 Our people come from a diverse range of backgrounds, including internet companies, software houses, strategy consultancies, games companies, retail providers, and major insurance and financial services organisations. This mix of sector experience and fresh perspective is key to making a positive and lasting change to the customer experience of insurance. Read profiles of the team here. If these things matter to you too, you’ll feel right at home. Farringdon, Central London. 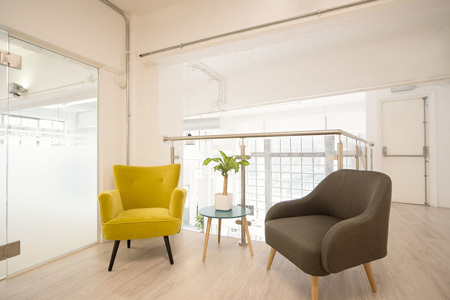 A unique double-height space in an art deco building, close to Leather Lane market and Clerkenwell's artisan coffee houses and craft beer pubs. Haywards Heath, Sussex. A light, modern space on Perrymount Road with panoramic views of tree canopy and the Sussex downs, close to shops, cafes and restaurants, and just 5 minutes’ walk from the station (Brighton 14 minutes, London Victoria 42 minutes). We believe in the importance of a great working environment, and both our spaces have adjustable-height desks, comfortable break-out areas, and well-stocked kitchens (including free Nespresso). We are a multi-award-winning business that is already causing a stir within the insurance market. Bought By Many is a high-energy business with an ambitious mission to create better insurance for everyone. This is no small task in the world’s second oldest industry. 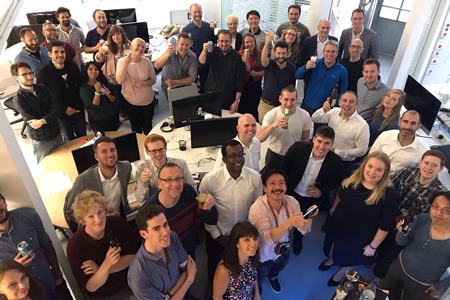 We have been listed as a European Fintech 50 company and rank 13th on the Sunday Times Tech Track 100 and are continuing to grow. There are big plans to do things differently for our people and we are now looking for a People Manager to join our newly formed People team. The People Manager will be responsible for dealing with all daily operational aspects of HR, providing advice and focusing on building a sustainable and scalable culture that is high performing. You will work closely with the Head of People to execute the agreed People strategy across all locations. You will proactively ensure all of the necessary HR processes are slick, so it is important you know ‘what good looks like'. This role would suit someone who is looking to forge ahead with their business partnering career as part of a vibrant, up-beat People team. You are CIPD qualified (or equivalent) HR Business Partner who has built a portfolio of generalist HR experience encompassing Talent and Change Management. You will most likely have operated in a forward-thinking environment but will relish the opportunity to go back to basics and bring others on a journey to develop a great workplace. Importantly, you’ll be someone that takes a pragmatic view and is able to get things done so all can thrive. This is a collaborative role that will work across all functional areas. Depending on your skills and level of experience this role is paying circa £40k depending on experience. This role will be based in our Haywards Heath office, West Sussex, with occasional travel to other sites (London & Birmingham). We have been listed as a European Fintech 50 company and rank 13th on the Sunday Times Tech Track 100. There are big plans to do things differently, and as a result we are constantly challenging ourselves to innovate and stand out from the crowd. Our Internal Technical Recruiter will be key in ensuring we can continue to do this at scale as we experience rapid growth. You will be an expert at head hunting technical talent, including but not limited to Front End Developers, Software Engineers, UI/ UX Designers, Full Stack and Back End Developers across all levels. As our Internal Technical Recruiter, you will have proven experience in successfully attracting talent within this area and be fully versed in understanding the technical qualifications required for roles. This is a brand-new position to the Bought By Many team where you will be joining at an exciting time! We are beginning to build an entirely cloud-based and serverless Insurance API, are due to launch in Sweden and have recently opened an office in Birmingham. As a result, you will increase our technical team to support these projects further and will be our own Bought By Many advocate in the technical world! Depending on your skills and level of experience this role is paying £40-45k. This role will be based in our Farringdon office, Greater London, Haywards Heath office, West Sussex or Birmingham office, Jewellery Quarter. Bought By Many’s mission is to create Better Insurance, For Everyone. As part of that mission, our Product Team design, create and manage a set of insurance products that help customers get better insurance. Our product portfolio includes insurance products and a digital product that helps our members and visitors find the best insurance for their needs. We have two main books of business relevant to this role: pet insurance for cats and dogs (in eight figures of GWP) and pet insurance for exotic animals (in seven figures of GWP). Previously pricing efforts in both books have been commercially led at Bought By Many with all pricing capability provided by underwriters. This role will establish a pricing function within Bought By Many, giving us sharper and more responsive control of pricing for these books. It will lead the development of that pricing function within our values, to support a growth business that meets its loss ratio targets. Whilst there are some pricing processes in place today, and the role will need to maintain a strong relationship with our underwriters, this is a greenfield opportunity to shape a pricing function from the ground up within a progressive, data-driven business. Depending on your skills and level of experience this role is paying up to £70k. This role will be based in our Farringdon office, Greater London. This role is paying circa £55K depending on experience. This role will be based in our offices in Haywards Heath, West Sussex. Depending on the individual this role could be based in our offices in Jewellery Quarter - Birmingham, Farringdon - London, or Haywards Heath - West Sussex. Bought By Many’s mission is to create Better Insurance, For Everyone. As part of that mission, we want our customers to love what we do, talk about us, and keep coming back for more! You will be our customer facing ‘voice’ and crucial in providing an excellent customer experience that makes us different from the rest. As part of a supportive team committed to building strong customer relationships, you’ll provide policy administration, sales and customer support for our market-leading insurance products. You will also convert leads, help customers with applications and queries, produce high quality documentation, maintain records on our databases, and help ensure we meet our service standards and FCA compliance requirements. Regular training will be provided to help develop you. Depending on your skills and level of experience this role is paying circa £20k. We operate a structured career path with personal development and training to help you grow and develop within this role and beyond. An additional monthly shift premium of 7.5% of base salary is also paid where shifts are worked. Our benefits package includes 25 days' holiday, up to 5% match pension, life assurance, cycle scheme, season ticket loan, and a superb modern working environment including free drinks, snacks and well being initiatives. Our standard working week is 37.5 hours. This is worked on a shift rota system of earlies, days and lates plus 1-2 Saturdays a month. Monday to Friday shifts can fall between 8am to 7pm, and 9-5:30pm Saturday.